We were treated to some Match Day hospitality in the Maestro Lounge at Craven Cottage. Shame about the final scores as Southampton looked the better team in the second half. Overall good atmosphere, good hospitality and good day. They do need some AGOGO’S Catering to top it up…watch this space. 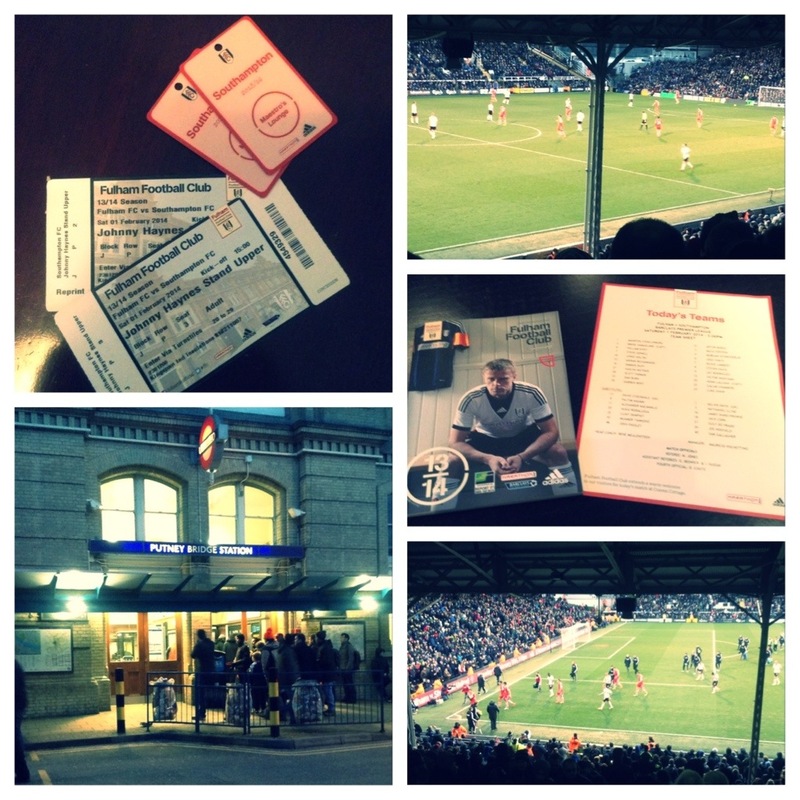 This entry was posted in Out and About, Team A go-go's and tagged football, fullham, Holtby, hospitality, Maestro Lounge, play hard, Premiership, Putney Bridge, Rodriguez, southampton, team building, VIP, work hard by agogosfood. Bookmark the permalink.